Home / Gemstones Enciclopedy / Imperial Jade, your world is full of colors! A new one-of-a-kind Jade is much more valuable than usual Jade: The Imperial Child Jade! For thousand of years this gemstone of heaven was greatly desired by people and had a significant meaning, especially in Asia and Liguria. 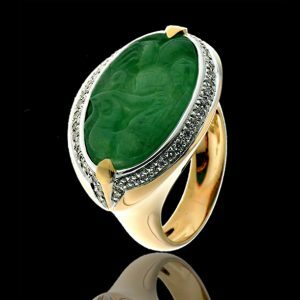 Jade is the Mystical birthstone for March, and is usually given as a gift for the twelfth wedding anniversary. This is a gem that speaks at auctions for itself, far surpassing the pre-sale high estimate as it happened in November 1997, when Christie’s Hong Kong sold a famous necklace of jadeite beads called “Doubly Fortunate” for a record $9.3 million. 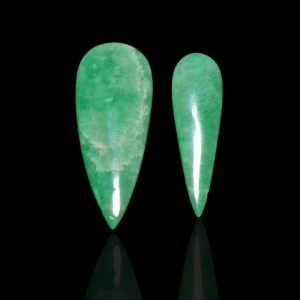 But the most incredible variety of jade is not coming from Burma or from the best gemstones auctions, but directly from Genoa. This story didn’t begin 5000 years ago like a story of gem with the same name did; it began on the marvelous afternoon of September 27, 2013 in Genoa. The name of this marvelous kind of jade is the child Jade. The jade mines are located all over the world, but a top-quality jade is really rare. 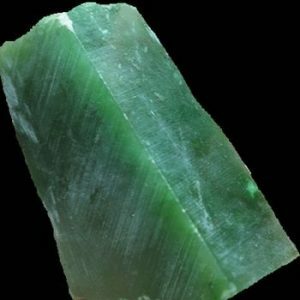 For 5000 years in China Nephrite had been exchanged for a jadeite. In 1784 the Chinese discovered in Burma (now Myanmar) a spectacular mine which was greatly appreciated by the Chinese emperor Qianlong. The emperor (who is associated with the Imperial Jade) ordered to send all raw jades to Beijing. And the first people who used jade for production of ornaments, weapon or tools were not the Chinese, but they were the inhabitants of Guatemala. Currently the kingdom of Jade is located in Burma, in the town of Hpakan or Hpakant, Kachin State. It is one of the world’s most inhospitable places, and only desperate daredevils enter that impervious terrain. On the morning of 22 November 2015, a massive landslide in Hpakant killed 116 people, and there were at least hundred people missing. Currently the kingdom of little Jade instead has much more comfort environment, and centered around the kindergarten, where she gives her first gemological lessons to the companions. Little Jade, your world is full of colors! But how many colors can we count in the Jade? It is not just imperial green that speaks for itself. In fact, the lavender color makes the Lavander Jade one of the most precious and sought-after varieties on the market. This marvelous Gem also appears in black color, and can be found in Guatemala, in Motaga Valley. A mine which has been reopened there produces Black Jadeite with a very beautiful lustrous surface. The sales of black variety, called Maya Black, have increased in recent years. The colors of Jade are not limited to above-mentioned ones. This Gem is found in a wide variety of colors. At that time when Hernan Cortez, a Spanish conquistador, conquered the Aztec Empire and claimed Mexico for Spain, Jade was so highly valued by the Aztecs that it was priced much more than gold. Although hundreds of years have passed since the days of the Conquest, the concept in Genoa remains unchanged: Little Jade variety is worth much more than all world’s gold. 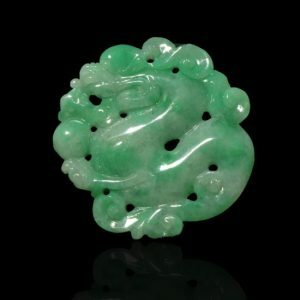 The most common cuts for Jade are the carvings to create a hololith (Gems are carved entirely from a single piece of rough), and the cabochon cut. A hololith is usually carved to craft a bracelet. Its exceptional toughness makes it very resistant to breaking or chipping, so this Gem can be worn even in areas exposed to blows. Soft enough to be engraved and durable to withstand the hammering, the Gem of Paradise fits well any frame. But if you have one of a nice main color and a slightly homogeneous side color, a saddle frame, which gives life to the classic saddle ring, is definitely the most recommended. Unlike the hard Jade Gemstone, my Little Jade is very sweet and loves her daddy!